Last year, Osaka-born graphic illustrator Ippei Gyoubu created the Tokyo Game Show's poster, which featured a digital lady. This year? 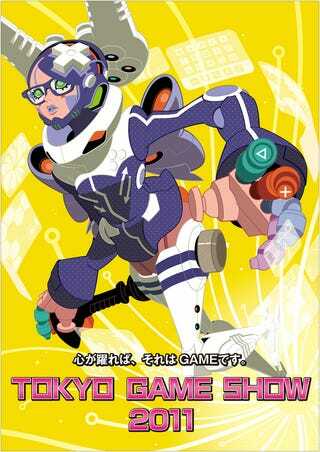 This year, Osaka-born graphic illustrator Ippei Gyoubu created the Tokyo Game Show poster, which features a digital lady. The tagline is "If the heart leaps, that's video games." That's...pretty bland!